While he is in line for the English throne, Prince George could have a different career in his future -- police officer. While in attendance at The Met Excellence Awards -- an annual gala honoring London's Metropolitan Police Service -- on Tuesday, Prince William and Prince Harry spoke with the night's honorees about their accomplishments and experiences, People reports. "We are recruiting, actually so if George and Charlotte are keen?" Richardson quipped, referring to William's 4-year-old son and 2-year-old daughter. As it turns out, William thinks George would actually love to sign up. "He is obsessed, actually, by the police," the ….cars, toys, everything," explained the 35-year-old Prince, who is currently expecting his third child with wife Kate Middleton. George -- who is currently third in line to be king behind his father and his grandfather, Prince Charles -- likely won't be sitting behind a desk at the Met in the future, but that hasn't kept him from dreaming. Last November, George got the chance to have his Christmas wish list handed directly to Santa Claus by his adoring dad when William ran into Saint Nick while on a trip to Helsinki. So what did the loveable little Royal ask for? Just one thing: a police car. And he wrote the request himself in adorable block letters before signing his name. 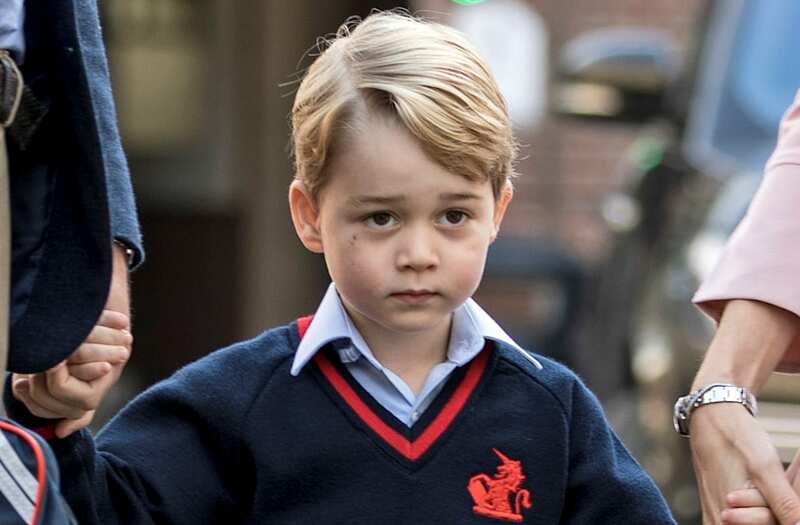 Prince William Reveals Prince George Is Over School After Just 14 Days!